I’ve taken a short break from tracing the family history of the de Lacy family to have a look at my own ancestors. So far I’ve managed to follow the direct line of my father’s family, the Eastwoods, right back to Whalley in Lancashire in the 16th century. 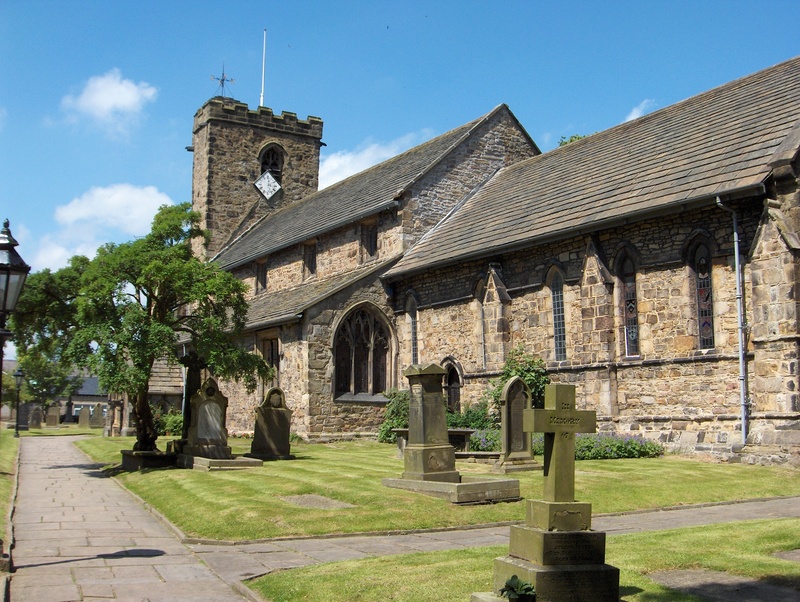 I’ve been helped by the parish records kept by St Mary’s at Whalley as well registers from the church of St Leonard’s at Langho and St Mary’s in Blackburn, which is now the cathedral. I’ve visited the ancient church at Whalley many times and it features in my novel, The de Lacy Inheritance, but what I didn’t realise until last week was how many of my ancestors were baptised, married and buried there. The first recorded family members are Richard Eastwood and Margretta Aspinall who were married on the 23rd October 1598. I’ve also found a photograph that has four generations of the Eastwood family in it. The boy in the middle of the back row is my grandfather. The man seated on the left is my great grandfather and the man in the middle is my great, great grandfather William Eastwood. He was born in 1824 and died in 1909 at the age of 85. 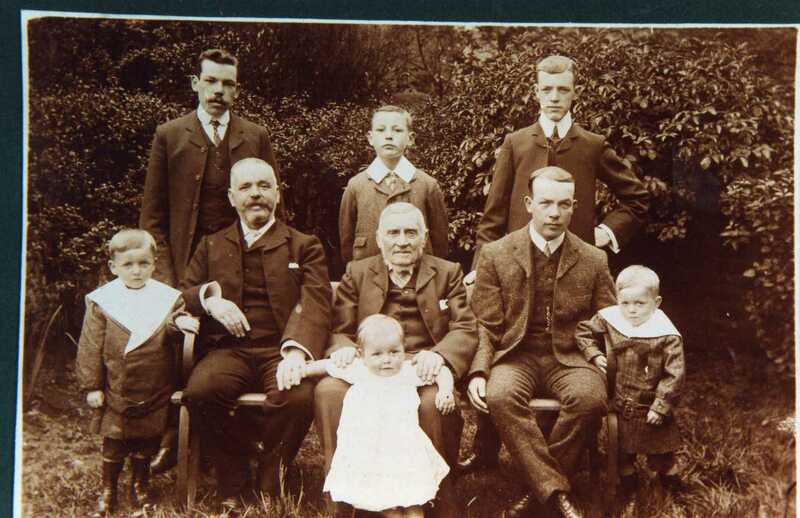 I think this photograph of him with his son, grandsons and great grandsons must have been taken in the early 1900s. Yes, the Catterall brass is there. I have a photo of it. It’s only quite small but very interesting. I am glad I am not the only one researching ancestor in that neighborhood. Are you aware of the “Mitton Chapel” in the church and the Catterall brass.